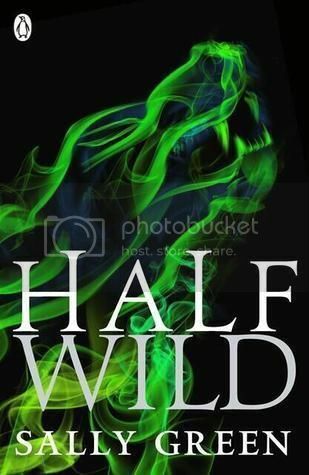 Half Wild by Sally Green (reading copy) - WARNING! I cannot review this book without spoiling the others in the series. Read no further if you're planning on reading this series and don't want it spoilt for you. After finally meeting his elusive father, Marcus, and receiving the three gifts that confirm him as a full adult witch, Nathan is still on the run. He needs to find his friend Gabriel and rescue Annalise, now a prisoner of the powerful Black witch Mercury. Most of all he needs to learn how to control his Gift – a strange, wild new power that threatens to overwhelm him. Meanwhile, Soul O'Brien has seized control of the Council of White Witches and is expanding his war against Black witches into Europe. In response, an unprecedented alliance has formed between Black and White witches determined to resist him. Drawn into the rebellion by the enigmatic Black witch Van Dal, Nathan finds himself fighting alongside both old friends and old enemies. But can all the rebels be trusted, or is Nathan walking into a trap? From Goodreads. I wasn't all that impressed with Half Bad by Sally Green, but I was told by my boss that the story gets better in Half Wild, that there was more of everything I thought Half Bad was lacking, so I decided to give it a go. And I'm happy to say Half Wild is a much better book! Nathan now as now received three gifts and blood from his father, Marcus, and is now a fully fledged witch. But his father left him soon after, and the Hunters are still after him. Gabriel is nowhere to be found, and it's been weeks since Nathan last saw him. But they said they would meet at the cave, and so he waits. Instead of Gabriel, it's Nesbitt Nathan finds at the cave - a Half Blood who works with powerful and influential Black Witch Van Dal. Van and Nesbitt rescued Gabriel after he was shot, and have nursed him back to health. Now he's back with Gabriel, Nathan's only thought is to rescue Annalise from the nefarious Black Witch Mercury, who has her under a death sleep. He can't do so without the help of Van and Nesbitt, but they will only help if Nathan agrees to join the rebel Alliance of Black, White and Half Blood Witches who want to overthrow the Council of White Witches, now run by Soul O'Brien. Soul is sending his Hunters out across Europe to persecute all Black Witches, and punishing White Witches who oppose him. It's time to stand together to fight against a common enemy, but the Alliance is lead by people he doesn't trust, and is suspicious. But if joining the Alliance is the only way to save Annalise, he doesn't have a choice. All the while, Nathan is struggling to control his Gift - the same Gift his father has, of transformation. But the animal part of him has a mind of his own, and Nathan is scared of himself. Oh, how happy I was to discover that Half Wild is so much more exciting! A whole lot more goes on in this book than in Half Bad, and the company never stay in one places for long, always moving on to somewhere new, always something to do, someone to speak to, someone to find. Half Wild is much faster paced, but the first half is still a little slow for my liking, and at times things seemed a little too convenient. The second half is where the story really picks up, where things really start moving forward, and I flew through it. There's a hell of a lot more action in Half Wild than the previous book, but that's not to say it's action packed, and not all of the action is in fighting, but in the moving, racing against time. There are various parts of the book that are really interesting and sometimes disturbing and gory, and I was pretty gripped. The world building still bothers me a little; there's just not enough information about the how and the why. However, there's so much going on in this book that by the second half this bothered me much less, and I just wanted to know what was going to happen. I really like the main group of characters in this book. Van and Nesbitt are awesome; Nesbitt really amused me, even if he wound Nathan up most of the time, and Van is just so intriguing. I wish we got to know more about her, and actually get to see her make the potions she's so fantastic at, rather than be told she needs to make one, have time pass and it's done. I'm quite fond of Gabriel too, he's so wonderfully loyal. However, I do have a problem with the romance aspect of these books. I cannot understand why anyone is interested in anyone. We have never - not in Half Bad or Half Wild - seen any real reasons why Nathan likes Annalise, why she likes him too, or why Gabriel likes Nathan. The key word is seen. We're just told that they've hung out, separately, had conversations while hiking and running and waiting, or while hanging out after school by the cliffs. But we don't get to see those feelings develop. I don't really know anything about Annalise except she's pretty and she's part of the O'Brien family. We know far more about Gabriel. And yet Nathan is completely in love with her. I don't get Gabriel's feelings for Nathan either. Nathan was awful at the very beginning of their friendship, but suddenly they're best friends. I really think we should have got the chance to see these relationships develop, rather than just be told that they did. Saying that, I've always liked Gabriel more than Annalise, so I'm rooting for him. The ending! I saw half of it coming, because it was so obvious. I was thinking, "Oh, come on,you fools!" But the other half... oh my god! Pretty blood awesome and disturbing, and wooow! Yes, I actually wowed, there. A small part of it is very convenient, I think, and if you've read it, you should know what I'm talking about, right? Far too convenient. It's going to make Half Lost, the the third and final book in the trilogy, very interesting, though! And I'm really keen to see where the story will end up. So yes! I am now invested in this story, and pretty looking forward to the final book! Thank you to Penguin via Foyles for the reading copy.